What could be easier that a 3-ingredient Macaroni & Cheese? 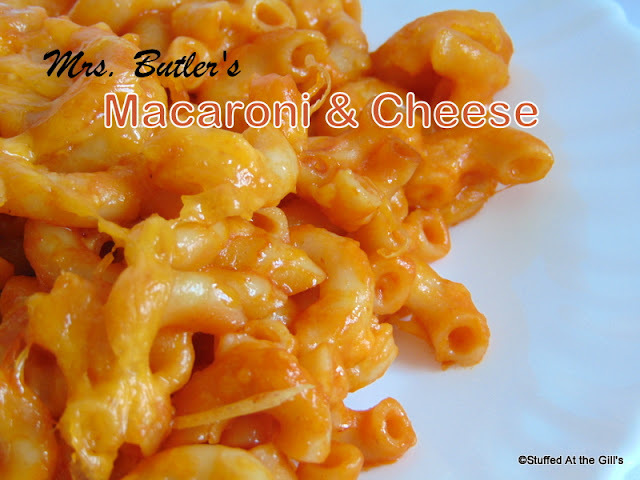 Quick and easy, Mrs. Butler's Macaroni & Cheese is full of flavour and easy on the pocket book. 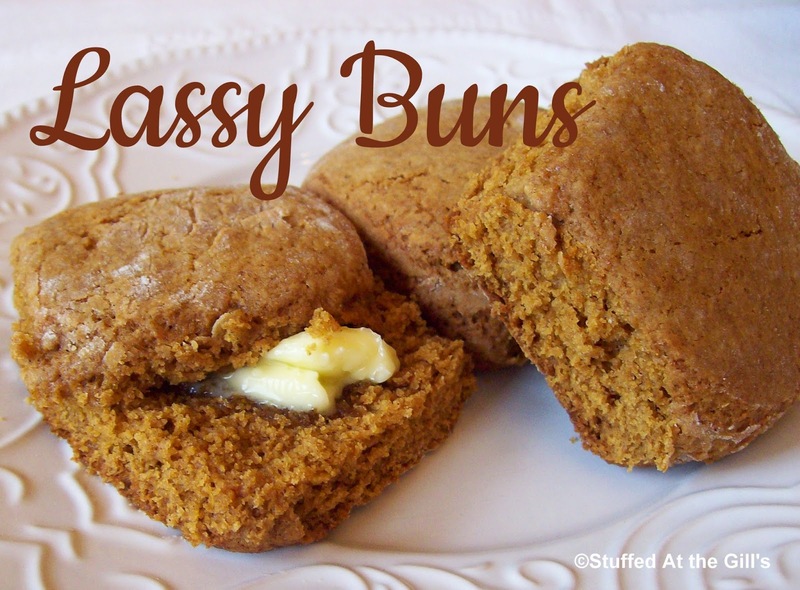 Since this recipe was posted in April of 2018, dear Mrs. Butler has passed away. 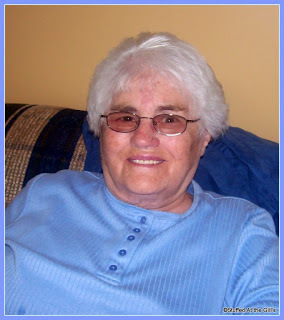 She will be sorely missed by everyone who knew and loved her. March 1929 ~ October 2018. I hear it at every church potluck I attend. "Where is Mrs. Butler's Macaroni and Cheese?" The kids love it and so do the big kids, ha, ha. Everyone is disappointed when Mrs. Butler brings something different to potluck dinner. and have remained friends all their lives. And so it was, this past weekend, Mrs. Butler again brought her famous Macaroni & Cheese to the church potluck. People were coming back for seconds when it dawned on me I'd better get a spoonful to go on Don's plate. He was home with Nan (his mom) and I usually bring him home a plate of potluck offerings when he's not there. I had to thoroughly scrape the dish to get a sparse spoonful for his plate. Later on that day I quizzed Mrs. Butler on how she made her Macaroni & Cheese. I knew it had tomato soup in it but wasn't sure what else was in it. She laughed and told me it was easy. And she sure was right about easy! You just mix cooked macaroni with tomato soup and cheese. I asked how much cheese and she held her hands about 6 inches apart and said, "About this much but you can use more." 😀 She was referring to the 454 gram (1 pound) packages that often go on sale. I figured that was about three-quarters of the package. Here is half the recipe for Mrs. Butler's Macaroni & Cheese. As there's just the two of us, a full recipe would do us most of the week. Even with half a recipe, we enjoyed two meals from the smaller amount. 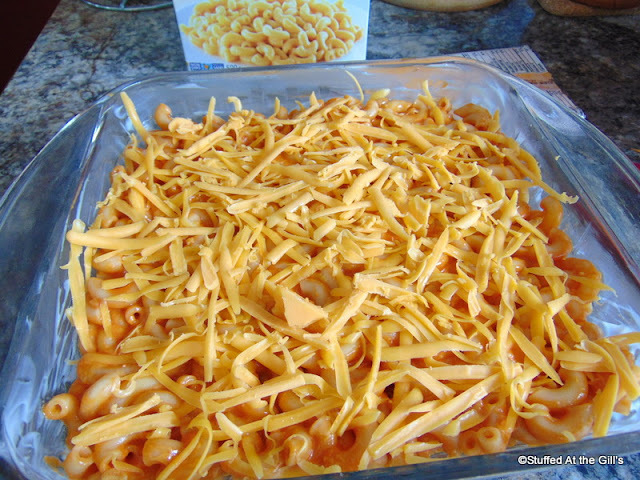 If you want to use the full box of macaroni just double all the other ingredients and use a larger casserole dish. 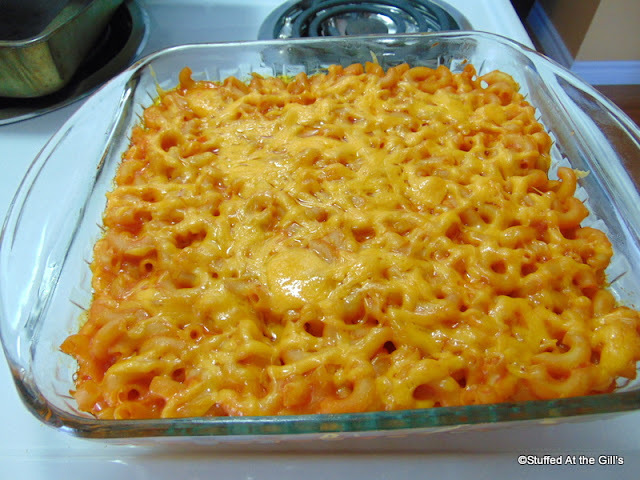 I did use more cheese than Mrs. Butler does, as she said I could. 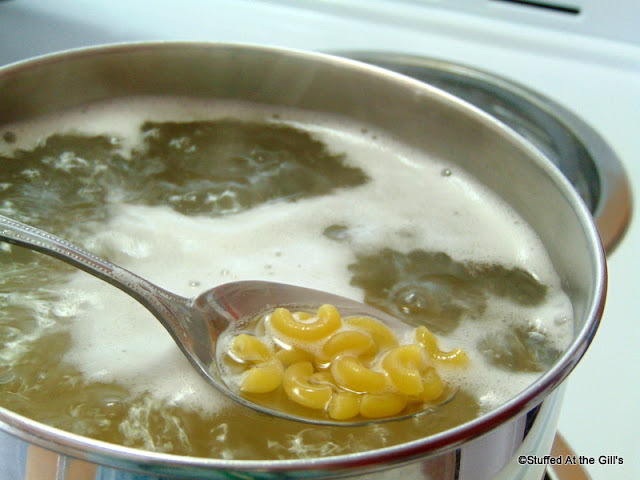 Boil macaroni according to package directions. 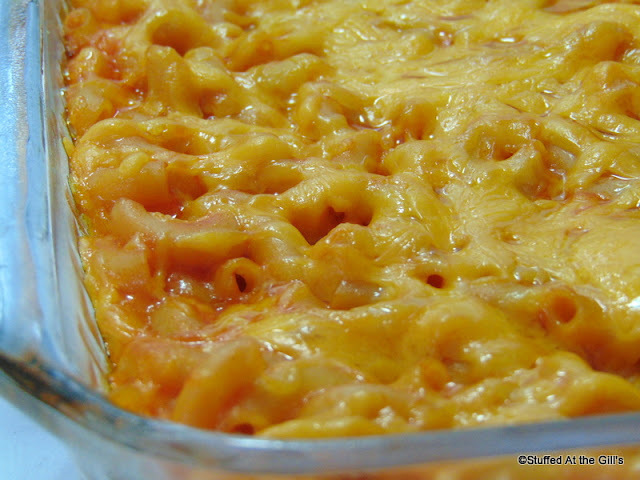 While macaroni is cooking, grease a 6-cup casserole dish or an 8-inch square glass dish. Preheat oven to 350 degrees. When the macaroni is cooked drain and return to cooking pot. Add the tomato soup and stir through. 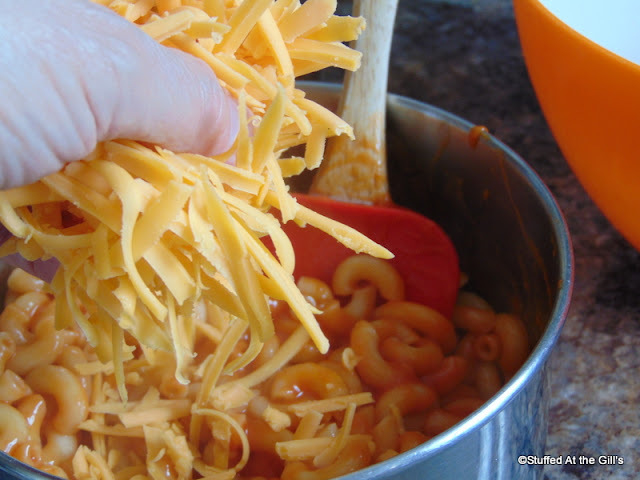 Add the cheese and stir through. 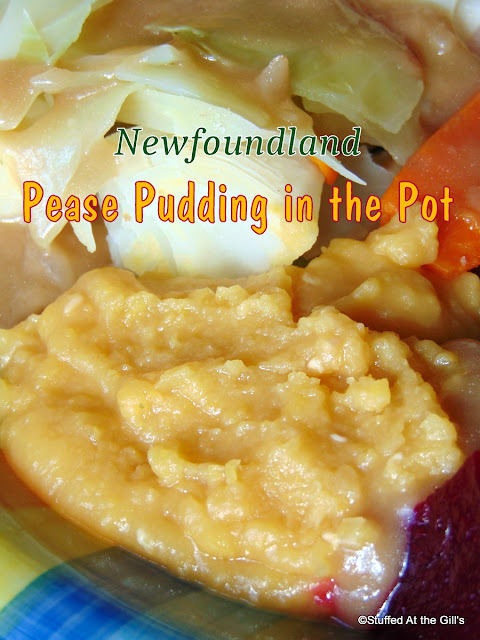 Pour into the prepared casserole dish. 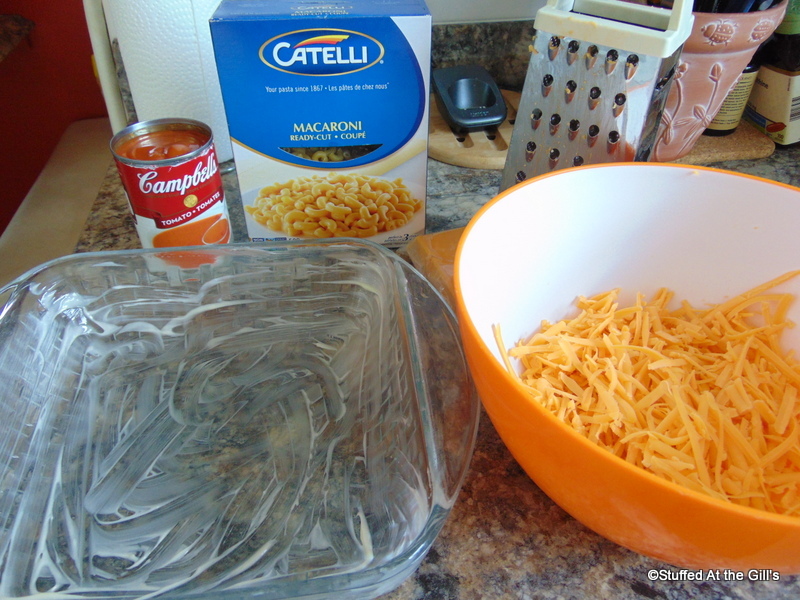 If you wish, sprinkle the top with more grated cheese. Bake 30-35 minutes until bubbling hot. Let set a few minutes before serving. 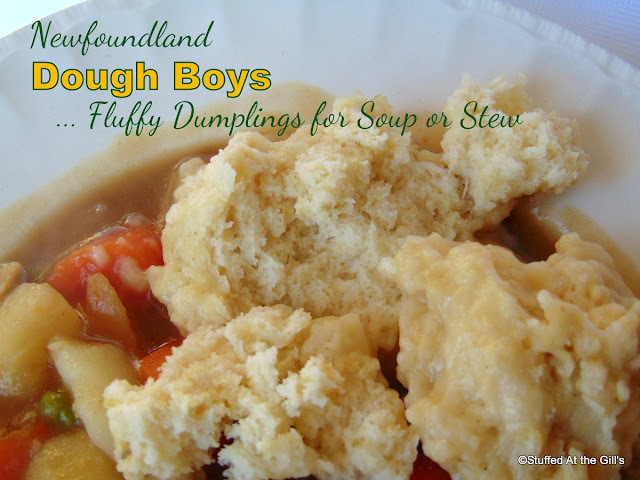 Makes 4 good servings or 6 smaller servings. 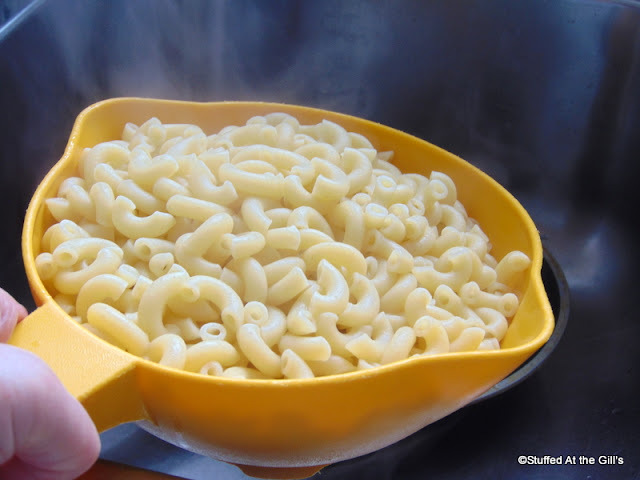 Boil the macaroni according to package directions. I like my macaroni on the soft side so I always boil it a few minutes longer. 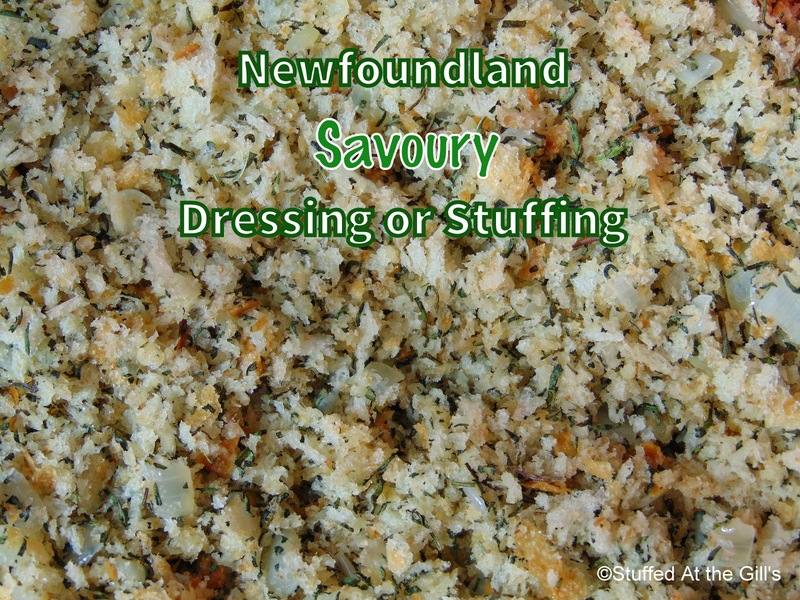 Grease the baking dish and assemble the ingredients. 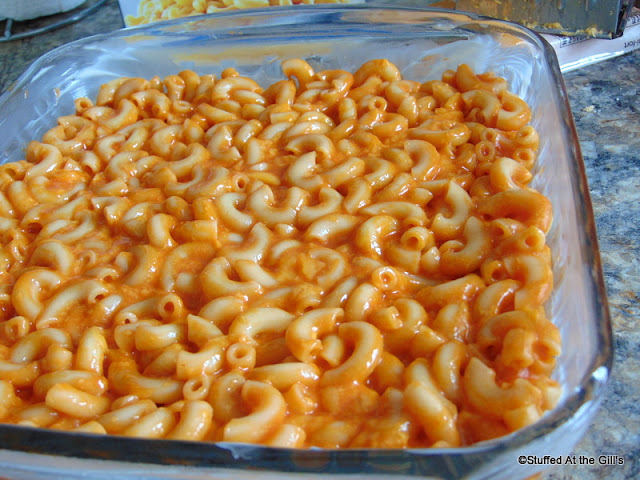 Drain the cooked macaroni and put it back in the pot. Add the tomato soup. Do not dilute with water. 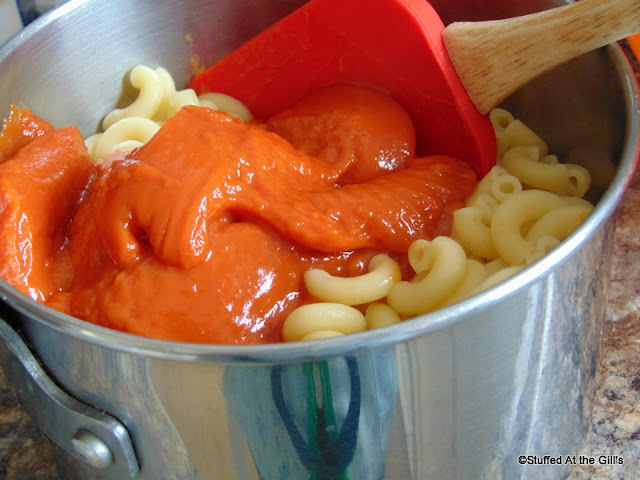 Mix through the macaroni. Add in the grated cheese. 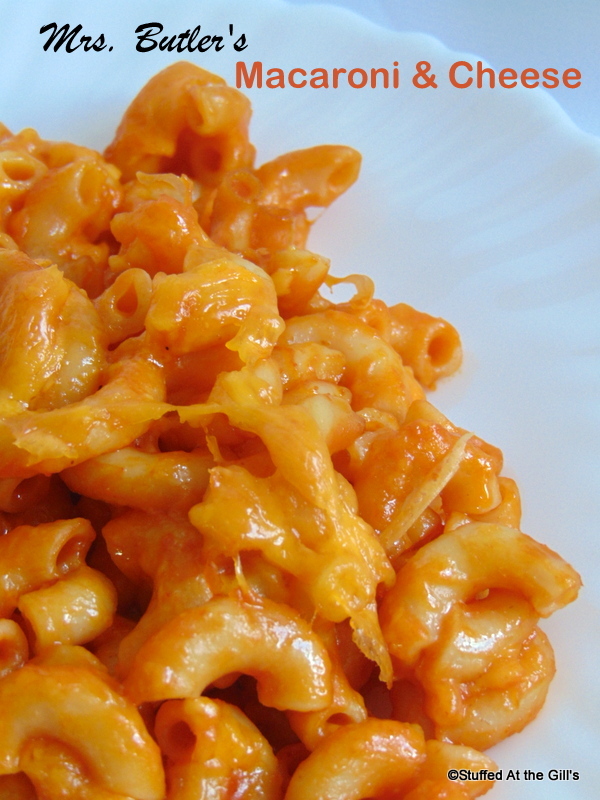 Use whatever kind of Cheddar you like best. I used a medium Cheddar today. 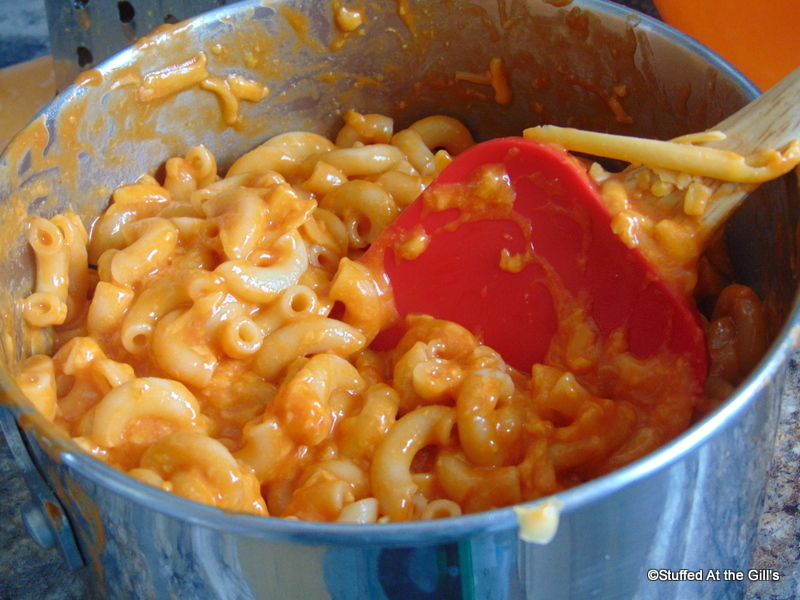 Stir the cheese through the macaroni until everything is well mixed. Pour the mixture into the greased dish. I used an 8-inch square glass dish. If you wish, reserve some of the grated cheese to sprinkle on top. Bake in 350 degree oven for about 30-35 minutes or until bubbling hot. 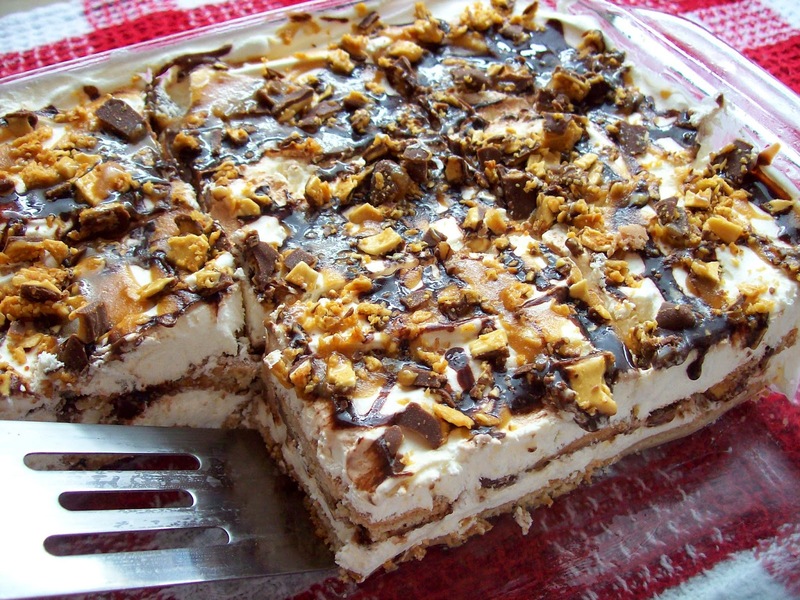 I want a corner piece! I love the crunchy pieces, ha,ha. This looks just like Mrs. Butler's Macaroni & Cheese! 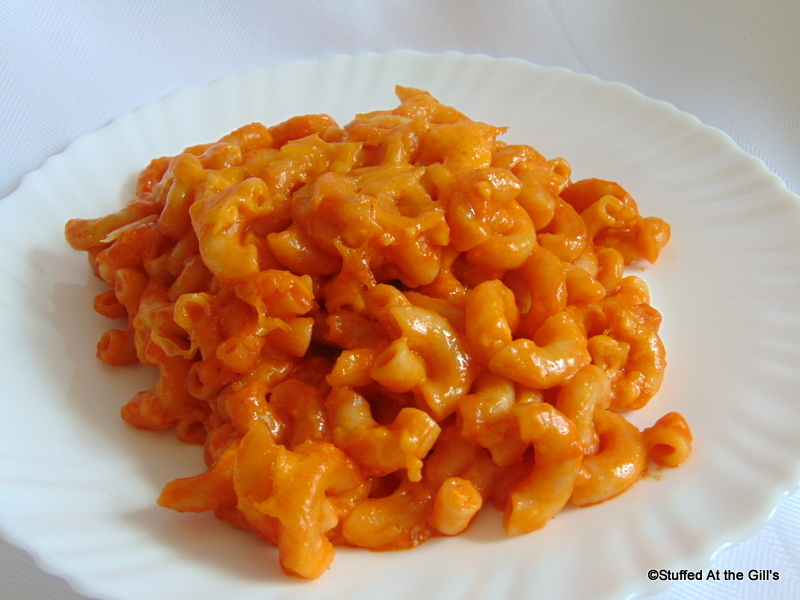 And it tastes just like Mrs. Butler's Macaroni & Cheese!